Combine a half-day fly fishing package with our sporting clay package and save on both. We’re an Orvis Endorsed Fly Fishing Lodge, and we offer a private Sporting Reserve for your enjoyment. 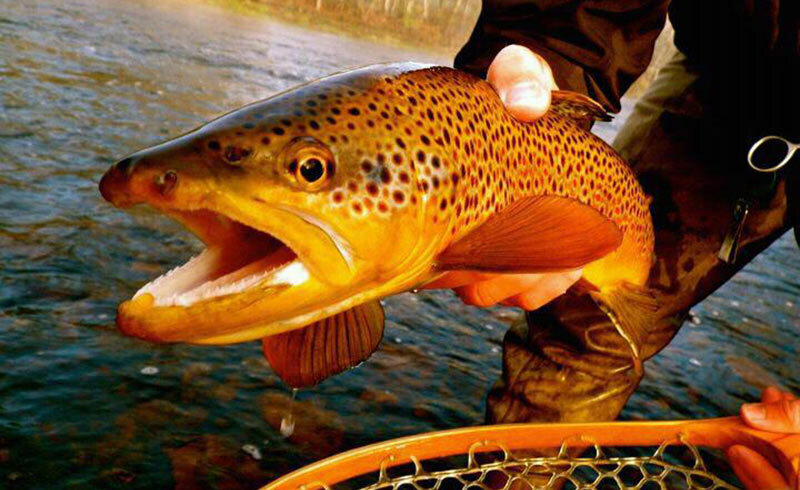 Add this package to your stay to enjoy a Half-day fishing excursion with professional Orvis endorsed fly fishing guide for Golden, Brook, Rainbow and Wild Brown Trout and Smallmouth Bass with all instruction, tackle and Orvis equipment provided. Plus, a Half-day of clay shooting at the Chetola Sporting Reserve with top quality equipment and instruction. All skill levels can be accommodated!